Alabama voters ranked jobs and the economy as the 6th most important issue, with 56% of respondents indicating they were very concerned about this issue. 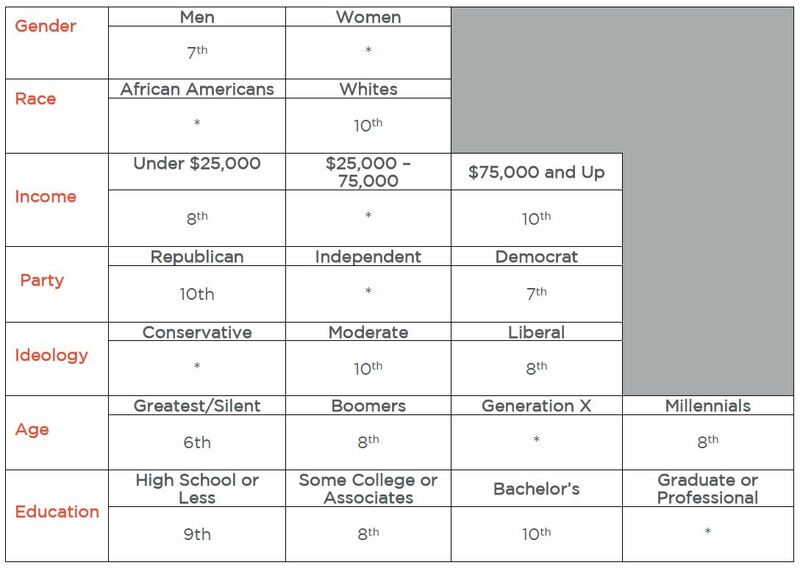 The issue ranked highly across all subgroups: political affiliations, generations, gender, and education level, and race. The only substantive difference in subgroups found was in ideology, where the issue ranked lower for liberals than for conservatives or moderates. Voters were also asked to identify their top priorities regarding jobs and the economy, selecting from the number of available jobs, availability of qualified workers, wage growth, or increasing the minimum wage. Thirty-two percent of respondents selected increasing the minimum wage as their top priority; 24% identified number of available jobs, followed by availability of qualified workers at 22%. Wage growth was found to be least important and was selected by 18% of respondents. Why are Jobs and the Economy Important? can improve technology and infrastructure. There are numerous indicators used to determine jobs and economic growth. We consider four of the most commonly used measures, although there is much debate that these measures tell the entire story. Economic health is most typically measured by the growth rate of the Gross Domestic Product (GDP), a comprehensive value of all goods and services produced. Like the U.S., Alabama has enjoyed GDP growth every year between 2009 and 2017, although the state has grown at a slower rate than the nation. The state saw its lowest percentage increase of 1.9% from 2013 to 2014 and ranked only higher than Mississippi (1%) among southeastern states. Alabama’s GDP increased 3.3% from 2016 to 2017, exceeding the growth rate in Arkansas and Mississippi, but trailing other southeastern states. Median household income is the income figure that divides all households into two equal groups, with half earning more than the income and half earning less. Median income in Alabama increased annually since 2010. 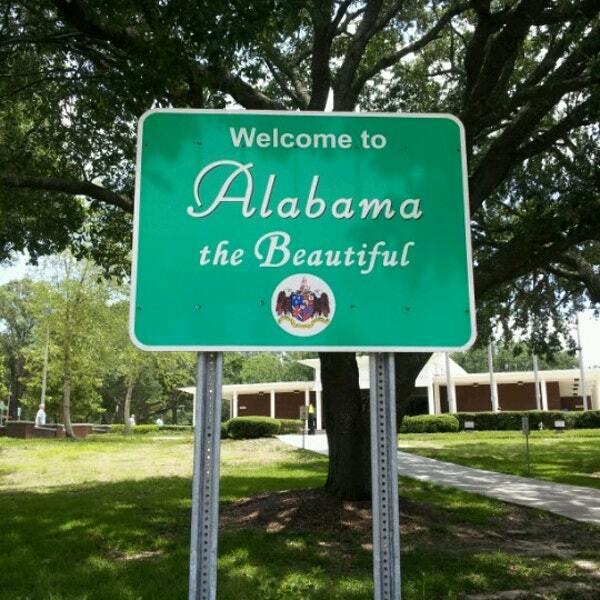 In 2016, according to American Community Survey 1-year estimates, Alabama’s median household income was $46,257 – 46th among all states, more than $10,000 below the national average. When compared to other Southeastern states, Alabama fared worse than all except Louisiana ($45,146), Arkansas ($44,334) and Mississippi ($41,754). Poverty is measured as the percentage of people earning less than a specific dollar amount: the federal poverty line. The federal poverty line is adjusted for the number of people in a household and is revised annually. The percent of population in Alabama living below the federal poverty level has declined from 19% in 2010 to 17.1% in 2016, mirroring declines at the national level. However, the percent of people living below the poverty level in Alabama is still higher than that of the nation. When compared to 10 states in the Southeast, Alabama’s poverty rate ranked 5th highest in 2016 and 7th highest among all states. Alabama’s unemployment rate is also decreasing, as is the national rate. In 2013, Alabama’s unemployment rate was 7.2%. By 2017, the figure had declined to 4.4%. The state’s rates are comparable to that of the U.S. during this same period. Nationally, unemployment fell from 7.4% in 2013 to 3.8% at the end of 2017. Alabama’s unemployment rate (4.4%) ranked 5th lowest among 10 Southeastern states, where Arkansas had the lowest unemployment rate of 3.7% and Mississippi had the highest of 5.1%. increased investment in infrastructure: Alabama’s infrastructure was graded a C- in a recent study by civil engineers. For more in infrastructure, see PARCA’s 2017 report, How Alabama Roads Compare. 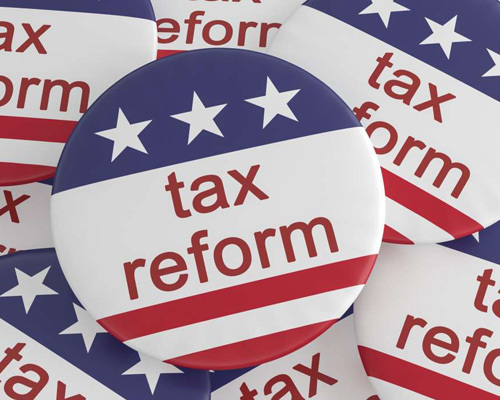 developing an adequate, fair, and efficient tax structure: Alabama collects the least amount in state and local revenue per capita of any state in the nation. See How Alabama Taxes Compare. continuing ongoing work to align K-12 and post-secondary education and training offerings with the needs of employers, increasing opportunities for students and workforce quality for employers. Although we considered four of the most commonly used measures, we cannot ignore the fact that economic growth is difficult to measure or even define. Many studies have shown both pros and cons of using the above indicators to measure growth. For example, authors have argued the validity of using unemployment rate as a measure of growth, considering the increasing number of part-time jobs versus full-time jobs. Others have argued the difficulty of measuring growth based on indicators such as standard of living, given the lack of, or consistency of data. However, this article seeks only to highlight a snapshot of Alabama’s economy and how the state compares nationally, using consistent data for all states. More comprehensive research should be done to gain more insight into changes in the state’s jobs and economy over time. Read the full PDF report here. Adams Jr., Richard. H, “Economic Growth, Inequality, and Poverty”, The world Bank, Poverty Reduction and Economic Management Network, February 2003. Weil, D.N. “Economic Growth”, 3rd Edition, Harlow Pearson Education Limited, 2013. Rivera IV, B., and Currais, L., “Economic Growth and Health Direct Impact or Reverse Causation”, Applied Economics Letters, 6(11), 761-764. Canning, D., and Pedroni, P., “Infrastructure and Long Run Economic Growth”, Consulting Assistance on Economic Reform II Discussion Paper, 57. • Voters broadly agree on the critical issues facing the state. • Voters are not polarized along traditional political, ideological, racial, or generational lines. There is a significant gap between the priorities of experts and the priorities of voters. • Policymakers have an opportunity to inform and educate voters on critical and systemic challenges facing the state. • Policymakers have an opportunity to respond to immediate, often highly personal issues that concern voters. • Elected officials and candidates have an opportunity to show leadership and to build broad coalitions to address Alabama’s most pressing challenges. Majorities of every racial group are very concerned about this issue. Approximately three-quarters of African-Americans say they are very concerned. Respondents with lower incomes are more likely to say they are very concerned than respondents with higher incomes. While majorities of conservatives and liberals say they are very concerned, only a plurality (more than any other category but not a majority) of self-described moderates holds this view. Survey respondents were also asked about their top policy responses to crime and public safety. Twenty-seven percent of voters were more concerned about the number of police, 24% civil liberties, and lesser percentages identifying sentencing reform and conditions of state prisons as their top priority. Why Is Crime and Public Safety Important? In previous generations, a basic high school education was sufficient for entry into the workforce. Today, an increasing share of entry-level jobs require a level of training beyond a high school diploma. To generate a prepared workforce, there is continued need to improve preparation for and access to two and four-year colleges. However, the demand for advanced training is also being addressed by K-12 schools, where students are increasingly presented with options for earning industry-recognized credentials while still in high school. Certificate programs are being expanded for new graduates and current workers. Alabama has enjoyed an unprecedented run of industrial recruitment and new job creation. According to the Alabama Department of Commerce, the state has added or announced 138,197 new jobs between 2010 and 2017. In that same time, employment in Alabama has grown from 1,893,169 to 2,081,176 – an increase of 188,007, and the unemployment rate has fallen to 3.8% (December 2017). Recent monthly unemployment rates for the state have hovered between 3.7 and 4.1%, the lowest numbers since at least 1976. Despite the surging demand for labor, Alabama’s population growth has been sluggish, creating a tight labor market and a pending shortage of workers. Crime has many negative impacts on a community. Crime and the response to crime create a large economic and social cost, including the direct economic losses suffered by victims and the costs of police protection, legal services, and corrections. Crime data and perceptions of public safety are widely used in quality of life rankings, which can impact the perceived livability and desirability of a community. High crime rates deter business. Crime can reduce the size and skills of the labor force. Crime can have a negative impact on education and training, diminishing the long-term creativity and innovative capacity of a community. Crime can deter business investment and location. The economic, societal, familial, and personal costs of incarceration are immense. Public safety plays a crucial role in supporting economic growth and vitality by reducing the cost of crime and enhancing the desirability of communities as places to live and locate businesses and has a direct impact on the levels of societal trust and interaction. Alabama reported 532.3 violent crimes per 100,000 residents in 2016, placing Alabama 8th highest in the nation for violent crimes. Alabama fared worse than most Southeastern states, except Tennessee, Louisiana and Arkansas. The state fared somewhat better in terms of property crimes, ranking 14th in the nation. Alabama’s property crime index for 2016 was 2,947.8 per 100,000 residents but was lower than that of only four Southeastern states. When violent and property crimes are considered together, Alabama ranked 9th in the nation with a crime index of 3,480.1 per 100,000 residents. According to the Alabama Law Enforcement Agency’s annual crime report, total crime in the state has decreased from 2011 to 2015 but increased roughly 2% from 2015 to 2016. However, during this same period, the number of violent crimes increased every year except between 2012 and 2014. Violent crime in the state increased from 405.5 per 100,000 residents in 2014 to 518.2 in 2016. Although the number of violent crimes increased significantly over that two-year period, the number of crimes cleared has been decreasing. In 2014, 45% of violent crimes were cleared, but that percentage decreased to 39% in 2016. The clearance rate for total crime in the state has also been declining over the same period. In 2016, there were 27,799 inmates in Alabama prisons, a rate of 633 people per 100,000 – the 3rd highest incarceration rate in the U.S. The state’s incarceration rate is significantly higher than the national rate of 471 per 100,000 residents and lower than only Oklahoma and Louisiana; 700 and 816 per 100,000 residents, respectively. The high number of incarcerations makes the state’s prisons the most overcrowded in the country; housing almost twice the number of inmates the facilities were designed to house. In addition to a high incarceration rate, the ratio of supervising probation and parole officers to probationers, parolees, and offenders poses a significant problem for the state’s system. At the end of fiscal year 2017, the total caseload average per officer on any given day was measured at 169 to 1. When broken down by total and active caseloads, the active caseload average per officer was 110 to 1. The American Probation and Parole Association (APPA) recommended caseload is 20 probationers per probation officer for intensive supervision, 50 to 1 for moderate to high-risk offenders, and 200 to 1 for low-risk offenders. 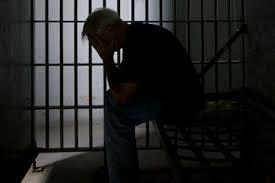 Recidivism, which refers to a person’s relapse into criminal behavior and is measured by criminal acts that result in rearrests, reconviction, or return to prison within three years, is a major driver of incarceration rates. In 2017, the recidivism rate in Alabama was 31.5%, including all cohorts. The high percent of recidivists continues to negatively impact the state’s prison system which is already overburdened. It also sheds light on the need for more effective programs to help released prisoners readjust to their communities and rebuild their lives. The percentage of violent crimes and property crimes committed by juveniles in Alabama decreased since 2013. As of 2016, juveniles account for 6% of violent crimes and property crimes. Despite the decline in juvenile crime, the number of detained juveniles is also a cause for concern. Alabama’s juvenile custody rate of 184 per 100,000 youths places the state 20th in the nation. When compared to Southeastern states, the state ranked 3rd with only Arkansas and Virginia having higher rates. There is a long-term impact on juveniles with criminal convictions that goes beyond the immediate effect to individual and family. A study from University of Pittsburgh found that 52% to 57% of juvenile delinquents continue to offend up to the age of 25, and about 16 – 19% up to the age of 30. Like many parts of state government, Alabama’s corrections and justice systems struggle with funding. Alabama spends less on corrections than a majority of states across the country. According to the Alabama Department of Corrections 2017 Annual Report, Alabama spent $52.07 per day per inmate, compared to the national average of $99.45. Alabama’s low per inmate spending may be seen as a positive by some. However, it is important to remember that with this level of spending comes a Department of Corrections that is understaffed, pays the lowest of any public safety agency in the state, and which suffers from very high turnover rates. The state’s corrections spending also contributes to legal issues facing the state. Alabama is currently engaged in two different lawsuits concerning the healthcare and conditions of Alabama’s prisons. It is highly likely that the outcome of these cases will result in court-mandated increases in Alabama’s corrections budget. Beyond funding Alabama’s prison system, Alabama’s funding for judicial, legal and police protection is also low. Based on 2016 expenditure data from the Bureau of Justice Statistics, Alabama’s justice system expenditures, which include police protection, judicial and legal, and corrections, were low when compared to more than 30 states across the country and most Southeastern states. In 2016, the state spent $2.5 billion, while other southeastern states spent a significantly higher amount (example Florida’s 2016 expenditures totaled roughly $14 billion and Georgia approximately $6 billion). The state has made recent attempts to address overcrowding in prisons, the high rate of supervision caseloads, and the lack of treatment in the community. In 2015, the state passed the Justice Reinvestment Act (Act 2015-185), which strengthened community-based supervision as an alternative to prison, while prioritizing prison space for violent and dangerous offenders. The legislation also took steps to ensure supervision for everyone upon release from prison. Since then, the state’s prison population has decreased by 15%, and more than 100 new probation and parole officers have been hired to help reduce officers’ caseloads. In June 2018, the Alabama Department of Corrections announced pay raises of 5% for correctional officers at medium security facilities and 10% for officers at maximum security facilities. Further reductions of the inmate population will be challenging, and additional investment in the prison system will be fiscally and politically difficult – although court orders may leave the state with no choice. Expand mental health and drug treatment options both inside state prisons and in local communities. View the full PDF report here. Blair, J.P., “Quality of life and economic development policy”, Economic Development Review 16, 1998. Keeling, Mary and Mark Cleverly, “Accelerating economic growth and vitality through smarter public safety management”, IBM Institute for Business Value, Executive Report. A clearance is a measure of law enforcement activity whereby enough evidence is found to charge a suspect and take him into custody (an arrest) or when a crime is solved but no formal charges are brought against a suspect (clearance by exceptional means). Stouthamer-Loeber, Magda, “Persistence and Desistance in Offending” (unpolished report, Pittsburg, Pa.: Life History Research Program, University of Pittsburg, 2010). The workforce development system is a diverse mix of public and private organizations working to prepare people for the workforce and help those already in the workforce to develop new skills. Workforce development efforts range from organizing large-scale hiring fairs, to designing and delivering industry and employer-specific training, to helping a single mother secure childcare while she takes GED classes. The workforce development system serves job seekers and employees in need of developing and maintaining marketable skills, as well as employers, in need of a sufficient supply of future employees with the necessary skills. The system involves educators tasked with teaching basic skills to industry- and employer-specific training. It involves communities focused on talent attraction and retention. And it involves government agencies tasked with managing public funds and providing general workforce development oversight and coordination. Taken together, the diverse components of the state’s workforce system work to provide a ready supply of labor, a healthy tax base, and a stable economy. 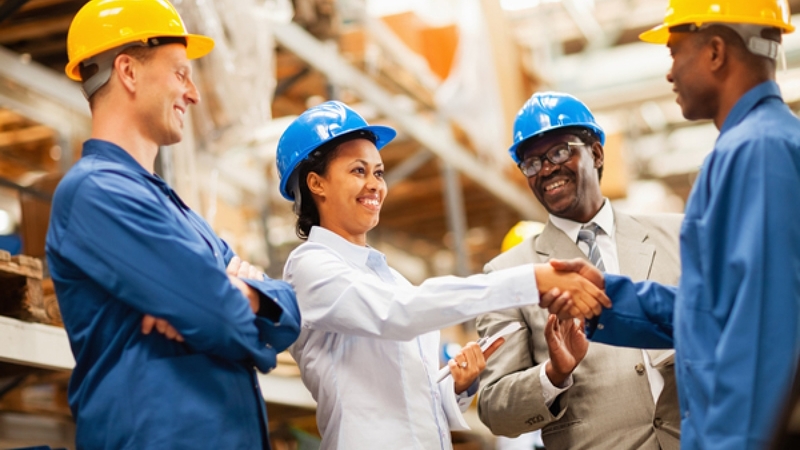 Why Does Workforce Development Matter? Between 2010 and 2017, Alabama’s net population growth was 2%. Alabama’s population is projected to surpass 5 million by 2025.1 Yet, the Pew Research Center projects it is unlikely that the Millennial labor force will reach the size of the Baby Boomer labor force. 4 The Generation X and Millennial generations are smaller in number than the Baby Boomer generation that is now reaching retirement age. In fact, 2017 Census estimates show that 51% of the working-age population (25 – 64) are older than 45. With the youngest Baby Boomers reaching age 65 in 2029, Alabama’s job growth is projected to surpass growth in its labor force. The University of Alabama’s Center for Business and Economic Development Research (CBER), project a workforce shortage in Alabama as high as 225,320 workers by 2024 with conditions continuing to worsen through 2040. By 2020, 65% of all jobs in the United States will require education and training beyond high school. . As of 2017, only 43% of Alabama’s workforce has completed postsecondary education. Data on workers with in-demand credentials and training other than a post-secondary degree is unreliable, but the experience of business and industry leaders suggest that the number of workers with these credentials is insufficient. Alabama workers face a gap in needed skills. Alabama’s employers voice the need for improvement in employees’ skills, including basic and soft skills, such as communications and punctuality, needed to properly function in a work environment. A May 2017 CBER report defined six different skill types essential in the modern workforce: basic skills, complex problem-solving, resource management, social, systems, and technical skills. Already, many employers report that simply finding dependable workers with basic soft skills is an increasing challenge. These challenges are by no means unique to Alabama. However, comparing workforces across states is complicated and ultimately unhelpful. State agencies, including the departments of Commerce, Education, Human Resources, Labor, the Community College System, and four-year institutions, distribute funds for workforce development from at least 18 different federal programs managed by three different federal agencies. The state agencies support, collaborate, or direct regional and local efforts, including regional workforce councils, workforce development boards, county and municipal governments, and nonprofits. This diffuse network is tasked with serving the current and future workforce; including youth aged 14 – 24, adults in need of basic skills or with physical, mental, or financial obstacles, and workers looking for work or additional skills. This basic structure is in place across the United States. However, the goals, requirements, funding, and schedules of these programs do not necessarily align. AWC: The Council is composed of business executives from industries and organizations across the state. It facilitates collaboration between government and industry to help Alabama develop a sustainable and skilled workforce. In 2018, the AWC secured $55 million in federal funds for workforce training. These funds are designated to develop workforce training starting with colleges that pair with local industries to meet the demands of the current and future workforce. The AWC allows workforce and education resources to meet specific needs identified by business and industry exclusive to each region. Regional Workforce Councils: Alabama has replaced its former structure of three workforce regions, with seven regions, each with its own workforce council. Each council supports its local economy by creating a strategic plan and workforce development system. Within each region, local boards are appointed to implement local strategy and to oversee the distribution of state and federal funds. With the change in structure comes a greater role for business and industry in creating and executing workforce strategy. Previously, educators guided the conversation. Under the current structure, business and industry have a greater voice. Alabama’s new workforce structure is still in its infancy. There are, however, encouraging signs. With seven regions compared to the previous three, decisions and initiatives can be targeted with greater precision. This structure also creates an unanticipated, but hopefully, productive culture of innovation and competition, with each of the seven regions looking to both learn from and compete with each other. 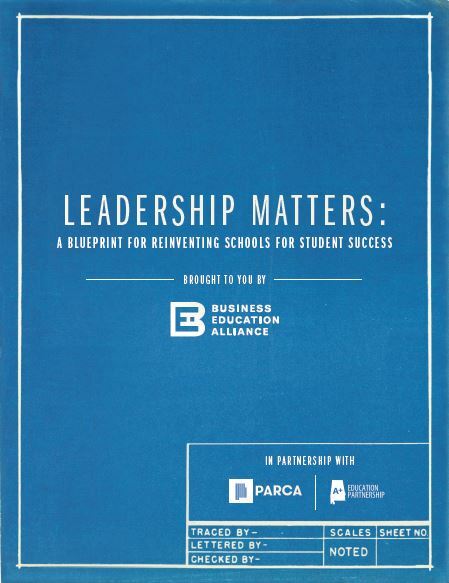 The work of one workforce region, West Alabama Works, is highlighted in the Business Education Alliance’s 2018 report Leadership Matters, produced by PARCA with guidance from A+ Education Partnership. 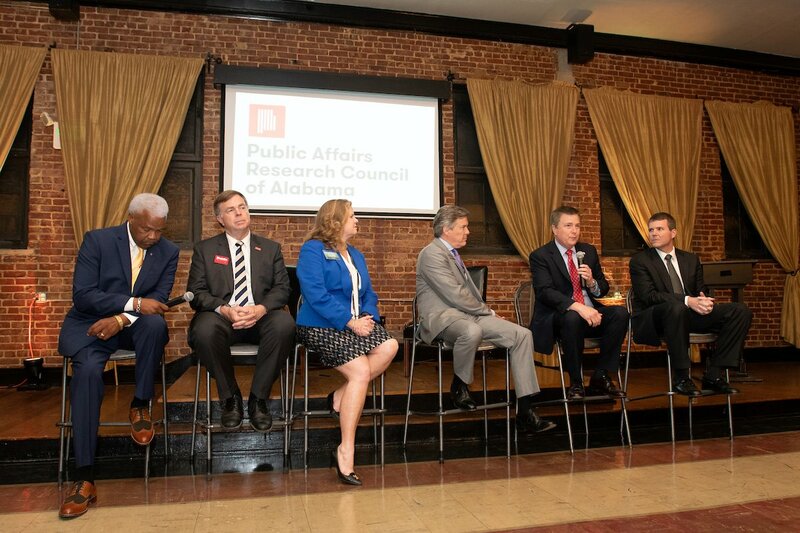 State leaders can learn from successes in West Alabama Works and the other six regional councils and work to replicate and expand strategies that prove effective. Responding to the identified need for a workforce better equipped with the basic knowledge of how to function in the workplace, Alabama public schools have added career preparedness as a one-credit course required for graduation. Students cover topics including personal decision making, academic planning, career development, and other social and financial skills. Adding to that, in 2018, Alabama’s Department of Education began seeking applications for Alabama’s Industrial Development Training’s (AIDT) High School Direct Ready to Work pilot program. Ready to Work’s curriculum instructs students on workplace skills as well as expected behavior in the workplace, including the importance of punctuality and teamwork. Through High School Ready to Work, students can earn an “Alabama Certified Worker” certificate widely recognized by industry in Alabama. In addition, those who complete the program earn a tuition waiver for one college course at an Alabama Community College. State and local leaders are beginning to speak the language of attainment – the need for workers to attain the necessary skills and credentials for the jobs and careers they seek. Credentials include traditional two-year, four-year, and post-graduate degrees, but also industry-recognized certification and training earned before, alongside, or instead of traditional academic degrees. In 2018, the state set a goal to increase attainment. Alabama’s Success Plus plan lays out strategies to help meet the state’s goal of adding 500,000 highly skilled workers statewide by 2025. Local areas are responding to the call. In Mobile, the Mobile Area Education Foundation has set a local goal of adding 75,000 new credentialed workers to its workforce by 2030. In central Alabama, the Bold Goals Coalition of Central Alabama has established a goal of adding 125,000 highly skilled workers by 2025. The new language and measurable goals provide a means to measure progress. The National Skills Coalition, a national group working to increase the skills of American workers, has articulated four broad policy areas that can expand workforce training: Integrated Education and Training (IET), stackable credentials, job-driven financial aid, and greater alignment of public and private projects. Alabama has made positive steps in some of these areas, notably through the Ready to Work program and new stackable credentials provided by community colleges, but in no area has the state achieved the recommendations of the National Skills Coalition. 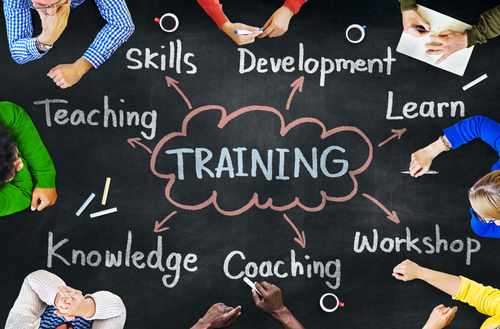 • Expand efforts to provide soft skills training. With the demand for 225,000 additional workers by 2024 and an educational attainment goal of 60%, Alabama must be innovative to meet its workforce demand. The value of developing a healthy workforce is vital for Alabama’s economy and its people. Employed individuals with skills matched to available jobs are more likely to live productive lives that contribute positively to their local communities. Conversely, an unstable workforce fails to support local industry and economic development, and is often associated with more crime, increased costs for healthcare, homelessness, family stress, substance abuse, and other factors associated with poverty. A strategically aligned workforce development system is vital for the success of individuals and Alabama businesses. Read full report in PDF version here. The Public Affairs Research Council of Alabama’s research report Together We Can: Charting a Course to Cooperation for Greater Birmingham received national recognition by the Governmental Research Association (GRA) at the GRA’s annual conference in Detroit last week. PARCA received the GRA award for “Most Distinguished Research” on a regional government issue for its ongoing work to examine the current structure of government in Greater Birmingham, with Jefferson County as its primary focus. The study sought to answer three questions. Is the region fragmented? If yes, does fragmentation produce negative consequences? If yes, are there viable options to reduce fragmentation and increase regional cooperation? In all three questions, we found the answer to be yes. 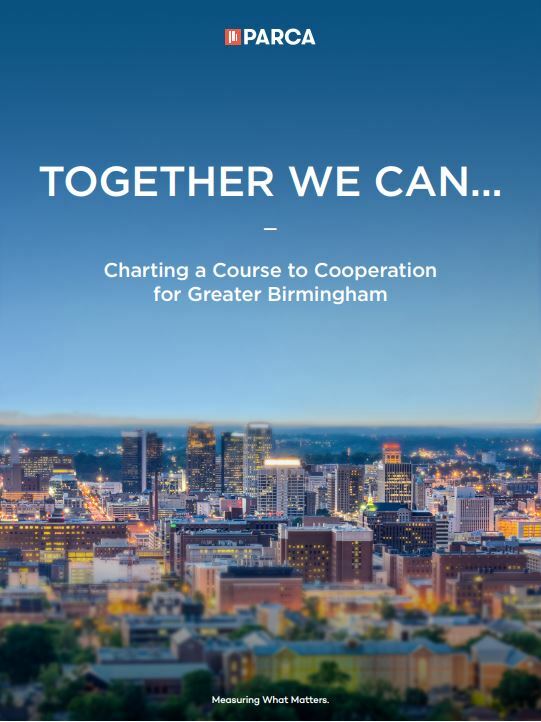 Together We Can was commissioned by the Community Foundation of Greater Birmingham in conjunction with their ongoing project Together We Prosper, a campaign to get the people of the Birmingham metro area talking about how we can work together better to help our entire community prosper and compete in a global economy. The award was given based on several criteria, including the use of new and/or innovative research methods, or new and/or innovative uses of existing methods; usefulness of the study to other states and/or municipalities; and, whether or not the subject is one of critical national, regional, or local concern or costs. Join us for an uproarious night of musical political satire with The Capitol Steps, benefiting the Public Affairs Research Council of Alabama. At PARCA, working to inform and improve government in Alabama is serious work—and we’ve been doing it for almost 30 years. But sometimes you just need to laugh. The Capitol Steps have elevated political satire to an art form. Before The Daily Show, The Colbert Report, and features on NBC, CBS, ABC, PBS and NPR, this Washington, DC-based comedy troupe gave audiences laugh cramps with their bipartisan lampooning. 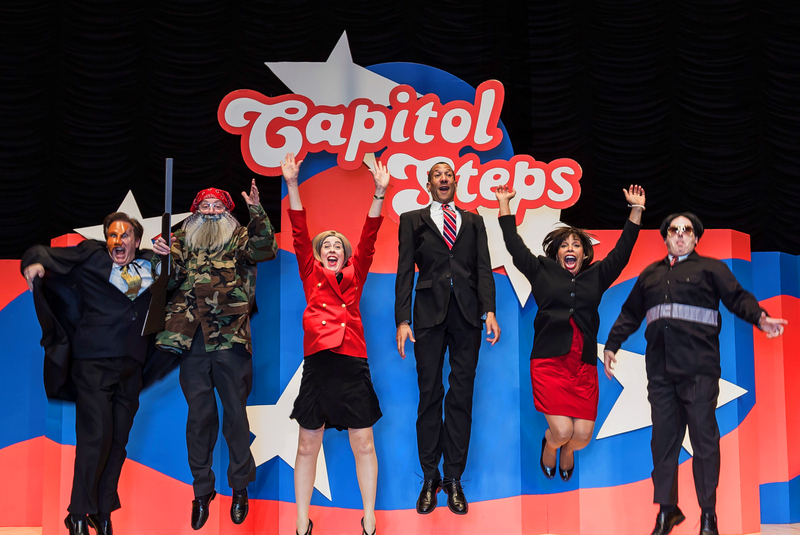 The Capitol Steps began in 1981 as a group of Senate staffers who set out to satirize their employers, and haven’t let up with their hilarious skits and musical comedy. It doesn’t matter if you’re a Republican or Democrat, neither side is safe from the group that puts the “MOCK” in Democracy! Last weekend at the Business Council of Alabama’s Governmental Affairs Conference, the Business Education Alliance unveiled its latest report, produced by the Public Affairs Research Council of Alabama. The report, titled Leadership Matters: A Blueprint for Reinventing Schools for Student Success, looks at the role of state, school and community leaders in driving our schools towards success. Alabama public schools are producing more high school graduates, but more of them need to be graduating prepared for and connected to education and training beyond high school. Alabama’s economy has the potential for impressive growth, but to capitalize on that potential, business and industry will need a new generation of better-educated Alabamians. To capitalize on this moment of opportunity for students and for Alabama’s economy, creative and energetic leadership is needed at the state and local levels. With a new state superintendent of education in place and November elections set to determine leadership in the Governor’s office, the State Legislature, and the State School Board, a new class of leaders will be called on to craft a plan for closing gaps in preparation and paving pathways to career opportunities. In this report, we examine the crucial role leadership plays in shaping educational outcomes, and we showcase six examples where leadership is making a difference and where data indicate students are achieving higher levels of success. Change-making leaders in education are not exclusively school administrators. Leaders are also stepping forward from government, business, higher education, and from community and civic groups. In fact, in all instances showcased, successful leaders have forged partnerships to accomplish their goals for better student outcomes. Leaders show a passion for change. Sheffield’s Superintendent Keith Lankford describes having a “fire in his belly” to capitalize on his community’s hunger for higher expectations for their children. Leaders see possibility beyond conventions. Pike County’s Superintendent Mark Bazzell knew many of his high school students were capable of college-level work. In 2018, 23 Pike County students earned not just a high school diploma, but a college associate degree at the same time. Or leaders may focus on the basics, like in Brewton, where the community pools money for scholarships, and every senior is required to devise a plan for college or financial independence after high school, referred to in Brewton’s down-home vernacular as a “Get Off Your Momma’s Payroll Plan.” Those resources and plans are among the factors that help that community produce some of Alabama’s highest college and career readiness rates. “Finishing high school is not our goal. Our goal is getting them to the next level,” explained T.R. Miller High School Assistant Principal Doug Gerety. Leaders across Alabama would do well to embrace those higher aspirations and pursue them with the strategic thinking, dedication, and innovation shown by dynamic communities. Click here to read full report here. The state’s image is the 9th most important issue for Alabama voters, with 57% of survey respondents indicating they are very concerned about improving the state’s image. When examining the top ten priorities by population, the state’s image made the top ten for most groups. Interestingly, the issue ranked higher for older voters and for those with lower incomes and levels of education. Some would say that Alabama’s image is well earned. 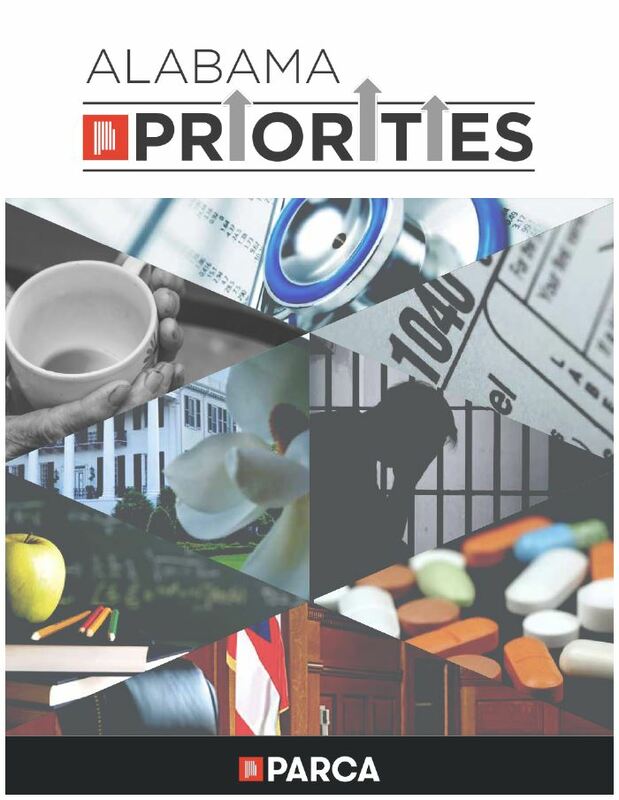 Alabama ranks poorly compared to other states in many measures of corruption, education, health, income, and general well-being – issues that will be explored more fully in future briefs. Rankings such as these do not tell the whole story, but as has been said, perception is reality. Why is the State’s Image Important? Alabama, like other southern states, labors under stereotypical and outdated assumptions about the rural south: remote, uneducated, and uncivilized. This narrative continues to be nurtured in popular culture and, sometimes by the state and its people. Alabamians, however, and those that visit, know that these descriptions do not reflect the state. Fairly or not, Alabama must contend with its reputation when attracting new industry and new investment to Alabama. At the same time, the state has been relatively successful on this front in recent years, suggesting that perceptions can be challenged. At the same time, while some aspects of the state’s image might be misguided or stereotypical, other aspects are based in reality. On average, Alabama students do lag behind their peers in most states. On average, Alabamians are more unhealthy than residents in many other states. Alabama’s median income is in the bottom five in the country, and the state’s recovery from the Great Recession has been slower than many other states. These are real issues affecting real people, every day – regardless of the state’s reputation. As noted, the state’s image emerged as a higher priority for voters with lower levels of income and education. The issue also ranked higher for voters generally (9th) than for policy professionals (16th). This could be because policy professionals believe that the best way to change the state’s image is indirectly, by addressing the individual factors that create the image. They are not wrong. However, that the issue ranks so highly for voters underscores the extent to which voters believe the state’s image affects them personally. We suggest that people with more resources – more education, skills, and income – are held less captive by the state’s reputation. They also have more ability to relocate to other parts of the state or to leave the state altogether to seek other opportunities. Conversely, those with fewer resources – less education, skills, and income – may be, or feel, stuck. In other words, their prospects and those of their families may be more intimately tied with those of the state, their county, and their town. Rather than attempting to measure Alabama’s image compared to other states, we look at three indicators as proxies: job creation, economic growth, and population. These metrics do not constitute image – but we suggest that the same factors that drive these metrics also drive the larger concept of image. According to the Alabama Department of Commerce, the state has added or announced 138,197 new jobs and $35.2 billion in investment between 2010 and 2017. This suggests Alabama is increasingly attractive to business. However, as with many issues, the distribution of new jobs is not equal. In 2017, 19 counties reported zero jobs from new industry and three counties reported no new jobs from industry expansion. The effects of job growth – and decreasing unemployment – are beginning to show in the state’s GDP. Alabama experienced 3.3% growth between 2016 and 2017, outpacing recent trends, but below its southeastern neighbors. For the period 2010 to 2017, Alabama’s compounded annual growth rate is estimated at 2.7%, lower than every other southern state except Mississippi and Louisiana – and far behind regional leaders Tennessee (4.6%), Georgia (4.3%), and South Carolina (4.2%). The state may be adding jobs and seeing a positive trend in GDP, but these trends are not correlating to population growth. The state’s image surely plays a large role in people’s decisions to move to, or remain in, Alabama – and in recent years, Alabama has struggled to compete with surrounding states. Between 2010 and 2017, the population of southern states has grown an average of 5.6%. Florida leads the pack at 11.6%. More comparable to Alabama however, are South Carolina, North Carolina, and Georgia. These states have grown 8.6%, 7.7%, and 7.6% respectively. Comparatively, in this same period, Alabama grew at 2.0%. This translates to a net population increase of 95,000 people in seven years – compared to an increase of 398,988 in South Carolina – a state that was approximately the same size as Alabama in 2010. Moreover, the source of our population growth is telling. In the past seven years, Alabama has added population through natural growth (number of births minus number of death) and international migration. Alabama’s rate of international in-migration is much slower than most states, and its rate of domestic migration is lower than most other Southeastern states. Domestic migration – people moving from other states to Alabama – has accounted for a net increase of 1,153 people – less than 1% of the state’s population growth since 2010. Alabama is adding jobs – but not people. Alabama did see a larger year-over-year population increase in 2017. Perhaps this is the beginning of a new trend. What, then, does this suggest for policy makers? We suggest that policy makers recognize and prioritize the issues that give rise to a negative reputation. They have a real and profound impact on real people’s lives. As Alabama finds and implements effective responses to education, healthcare, jobs and the economy, crime and more – the state’s image will improve. More importantly, the lives of Alabamians will improve. At the same time, leaders have an opportunity to remind Alabamians, and a larger national and international audience, of a broader story. Alabama is emerging as a leader in advanced manufacturing and enjoys a growing reputation in research and innovation, as well as arts, culture, and cuisine. Successes such as these should be celebrated. At the same time, the state’s challenges should be addressed in a straightforward manner, with an inclusive, broad-based program for expanding opportunity for all. For the PDF version of the State’s Image summary brief, click here. In 2018, Alabamians will elect a governor and five other statewide executive branch officers, 140 legislators, and scores of local officials. Those elected will lead Alabama for the next four years. These leaders should be responsive to the concerns of those they represent but also willing to help citizens understand critical, but perhaps less obvious, public policy issues. Such leadership requires understanding what issues most concern voters and what issues voters may not fully appreciate. In this election year, PARCA surveyed Alabama voters to determine their thoughts about the general direction of the state and the issues that most concern them. We found broad agreement on the critical issues facing the state. Based on voter response, PARCA identified and ranked voters’ top 10 critical issues. Alabama Priorities explores this issue. Alabama voters are eager to see improvement in K – 12 education, with 70% indicating they are very concerned about the state’s education system. Voters are worried about healthcare , particularly access and cost. With the recent resignations of a Governor, a Speaker of the House, and a state Supreme Court Justice, it should come as no surprise that voters are concerned about corruption and ethics. For many voters, mental health and substance abuse are not just theoretical problems—56% of Alabamians indicate they are very concerned about the issue. The poor and homeless have not been forgotten. These issues, along with jobs and the economy, crime and public safety, job training and work force development, the state’s image, and tax reform comprise the top 10 list of Alabama’s priorities. Perhaps this list should not come as a surprise. Previous polling by PARCA and other organizations have found similar results. What is perhaps more surprising, however, is the extent to which these are shared priorities. We found few significant differences between Republicans and Democrats, liberals and conservatives, blacks and whites, or other groups. While differences exist, Alabama voters are not polarized. At the same time, while the data suggests broad agreement among voters, there is an area where significant gaps exist. PARCA surveyed business, civic, and nonprofit leaders, journalists, and academics. The differences between the priorities of these experts and voters were noticeable. Possible explanations as to why some issues are more important to voters and others more important to experts are offered in the “Differences Between Experts and Voters” section of the report. three implications are suggested. The data suggest four implications. Voters are not polarized along traditional political, ideological, racial or generational lines. There is a significant gap between the priorities of experts and the priorities of voters. Policymakers have a two-fold opportunity to inform and educate voters on critical and systemic challenges facing the state. This research suggests that elected officials and candidates have an opportunity to show leadership and to build broad coalitions to address Alabama’s most pressing challenges.